I admit, I was a sucker for the Kevlar back cover of the original Droid RAZR. The RAZR Maxx, its new, beefier older brother, is very much a smartphone for the manly man, with its bold angular lines at both ends of the phone, and of course, the Kevlar back cover. Head on after the break for the full review! 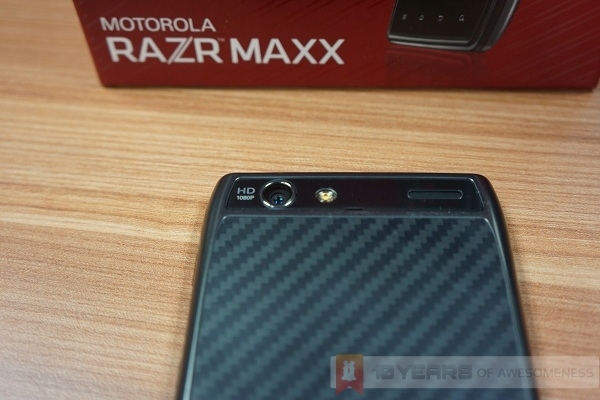 The build quality of the RAZR Maxx is very good, to say the least. Although not a unibody, there is no way to easily remove the back cover. The microSIM and microSD slots are housed to the left side of the phone, underneath a frustratingly difficult to open latch. However, one thing that our editor found very odd about the phone was that the metallic borders on the sides of the phone protrudes ever so slightly at the back that it makes redundant the tough Kevlar back cover, since it won’t be protecting the phone much. Impressively, the massive 3300mAh battery does not make the phone any heavier or bulkier than most smartphones, clocking in at only 145g and 9mm at its thickest. The RAZR Maxx runs on a dual-core 1.2GHz processor with 1GB of RAM. However, thanks to the the lightly-skinned Motoblur UI (more on that below), for the most part the phone was quick and snappy. 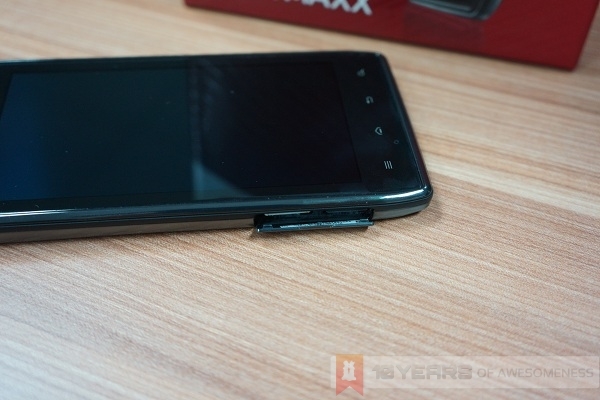 The RAZR Maxx was subjected to both AnTuTu and Quadrant benchmarking apps. It scored 6293 and 2832 respectively for both apps, which puts it smack in the mid-range of smart devices. 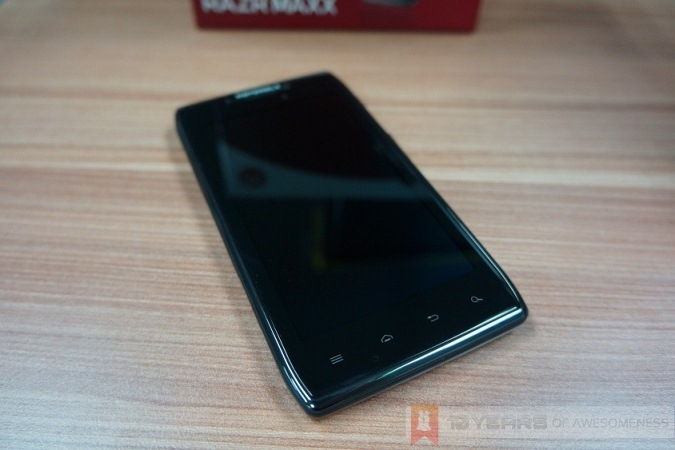 The Huawei Ascend P1 fared similarly with the Maxx on AnTuTu with a score of 6210, but beats it on Quadrant with a score of 3368. In comparison, the HTC One S scored 7109 on AnTuTu and 3745 on Quadrant, which blows the Maxx’s scores right out of the water. 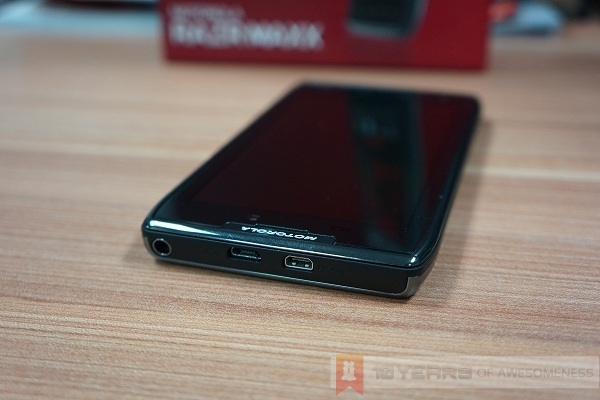 The main pulling factor of the RAZR Maxx is, of course, the gargantuan 3300mAh battery that is somehow fitted into its 9mm thick frame. And it does not disappoint. I took it for a weekend trip to Melaka recently, and in the three days I spent there, I charged it once. Yes, just once. It lasted a mind-boggling 19 hours on the first day, where I heavily used A-GPS navigation and USB tethering in the night. After charging, the next two days were spent mostly on 3G, and it lasted almost a full two days. 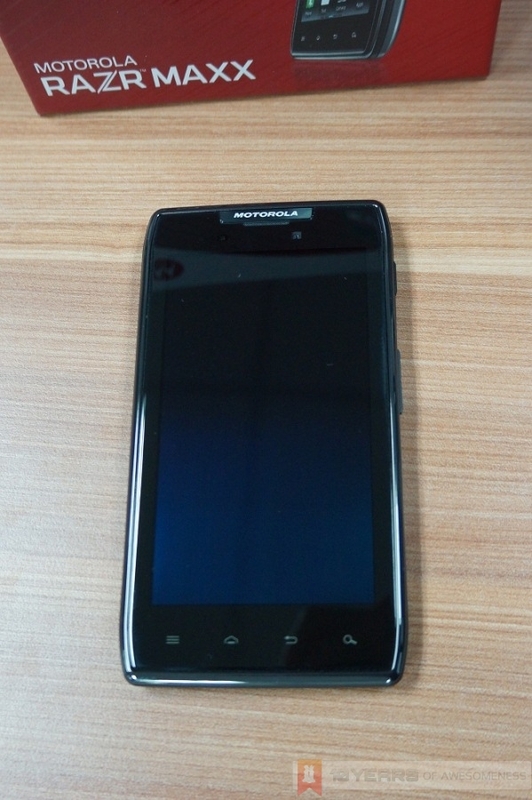 On a normal working day with WiFi and 3G on, this phone can last two days without breaking sweat. To be more specific, the battery level only hit 10% after 1 day and 20 hours. The RAZR Maxx comes equipped with a 4.3-inch, 540×960 Super AMOLED screen with Gorilla Glass. Unfortunately, the display is one of the Maxx’s biggest disappointments. Under automatic brightness, the screen was almost always a little too dark for comfortable use. Set it to manual and ramp the brightness up a little, and suddenly 3300mAh seems too small a battery capacity. One thing that was noticed about the screen was that under bright light, the screen has a bluish hue that is not visible when the display is on. But, whether it is actually responsible for the general dimness of the screen is inconclusive. Otherwise, the Super AMOLED screen does very well in terms of colour reproduction. Blacks were deep, too, and that’s saying something for an AMOLED screen. But really, colours would have been a lot more punchy if the screen was just a little brighter. 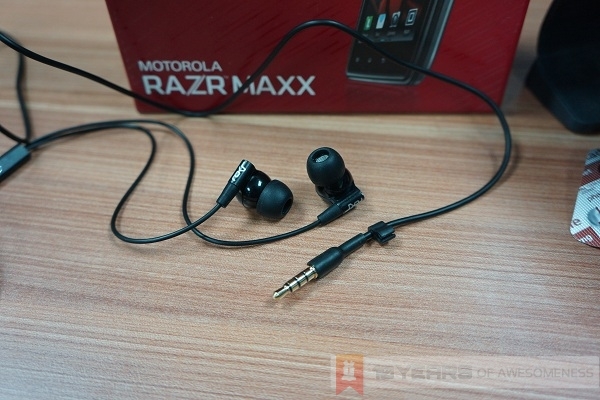 No fancy audio enhancement software here for the RAZR Maxx, but despite that the RAZR Maxx is no slouch in terms of audio quality. At its highest volume, audio output on the speaker is not only loud, but rarely breaks. The speaker’s location on the top also means it is rarely muffled. In addition, Motorola also bundles its ROKR in-ear headphones with an integrated microphone which are pretty decent, too. 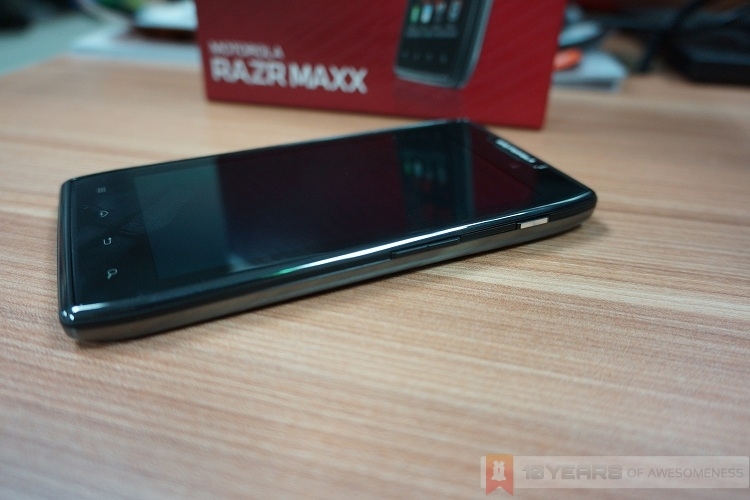 The RAZR Maxx comes equipped with an 8MP shooter at the back that is capable of 1080p recording at 30fps, and a 1.3MP front facing camera that records at 720p. The camera interface, at first glance, is pretty cluttered. 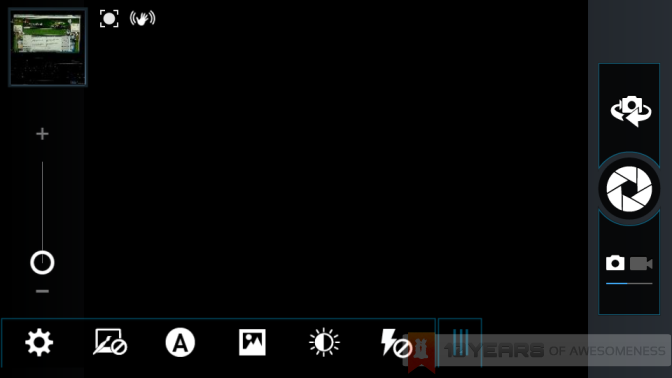 This is because all there is a sliding menu for all settings for the camera displayed on screen, which, if you pressed any of the items on the sliding menu, would open yet another mini-menu. 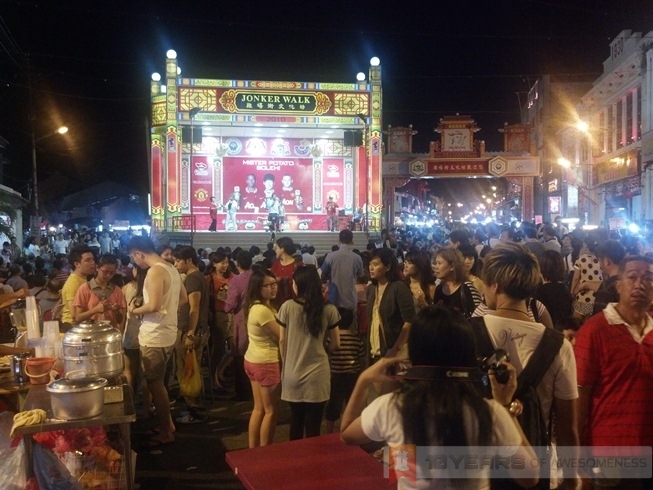 As for the camera proper, there are the standard options for four different modes (single/burst mode, panorama and timer), exposure, eight scene options, and eight effects. Interestingly, users can only shoot in 8MP or widescreen 6MP images, with no options to shoot in different qualities. 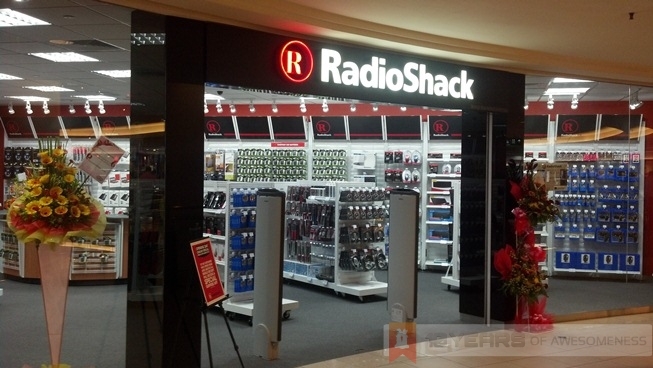 As with most cameras in smartphones these days, the RAZR Maxx captures good quality photos under bright light, and when shooting in low light, there is a visible amount of noise. In both cases, the touch to focus feature is pretty accurate and locks in the focus pretty quickly, too. Unfortunately, video recordings on this device is only decent. Videos shot in 1080p tend to be choppy, especially when either the object is moving quickly, or the phone itself is moving while recording. Autofocus also hunts a tad too aggressively. Recording in lower resolutions (720p, 480p and 240p) does help reduce the choppiness at the expense of video quality. For a top-of-the-range smartphone, to ship with Android Gingerbread when ICS is already somewhat outdated is almost criminal. Fortunately, there already is an Android 4.0.4 OTA update for the device. So after a laboriously long download, it is pleasing to note that the Motoblur UI does not try to out-skin the other UIs out there, but remains fairly faithful to the vanilla Android experience. As a result, the phone is pretty snappy. Even when there are many apps open in the background, there aren’t any visible lags. However, “thinking pauses”, as some have come to describe the occasional lag that plagues most (non-quad-core) Android phones, are still present, especially when dealing with heavy apps. One thing that was really puzzling when using this phone is its weak WiFi reception. In an area where every other smartphone has full strength WiFi signal, the RAZR Maxx, seemingly depending on its mood, would show either only 75% or even 50% WiFi strength. Before updating to ICS, this problem was so much worse, as it even had the tendency to drop WiFi reception altogether (which explains the laboriously long download times stated earlier). This, as it turned out, was a common complaint against the device (try Googling “razr maxx weak wifi”). One point that Motorola did get right is the Smart Actions app. 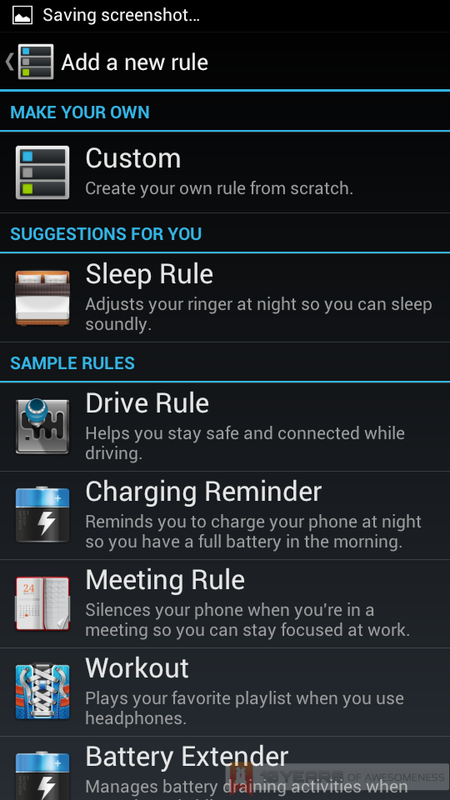 Essentially, it allows users to set certain “rules” that, when met, triggers a preset action that the phone must execute. For example, a “Low Battery” rule would trigger the power saving mode to be turned on and the GPS switched off if the battery falls below a certain percentage. The best thing about Smart Actions is that every rule and every action is customizable, allowing for some really practical and creative uses for the app. For a phone with such a unique pull, the RAZR Maxx is similar to the Samsung Galaxy Note due to the lack of proper competition from other companies. 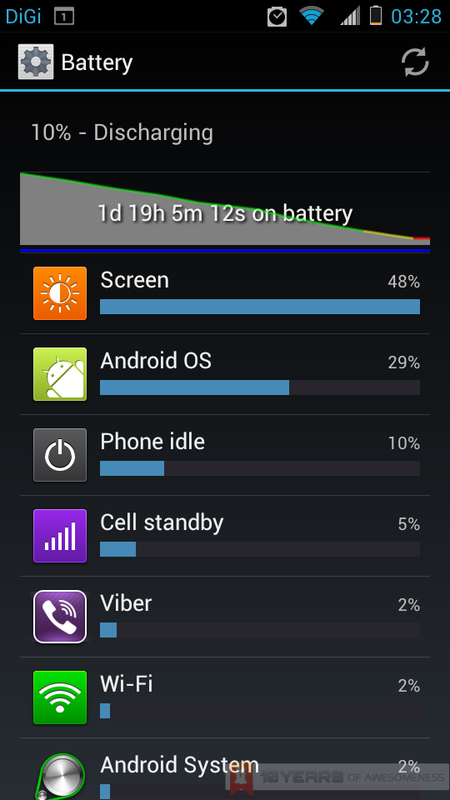 However, the Samsung Galaxy S3 (with newer, more powerful hardware, mind you) managed about 21 hours in our earlier review. 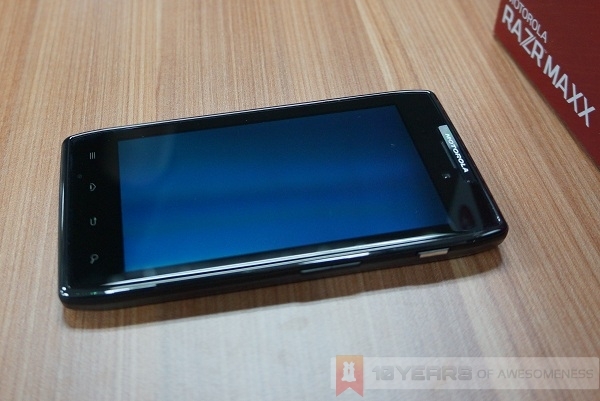 At a retail price of RM1688, it is very hard to say that the RAZR Maxx is a smart purchase. Of course, the high build quality is a plus point, and the Smart Actions app opens up a wealth of possibilities that will leave you constantly thinking of new ways to customize rules for the phone. Sadly, other than those two, there isn’t much going for the RAZR Maxx. I wanted to like this device. 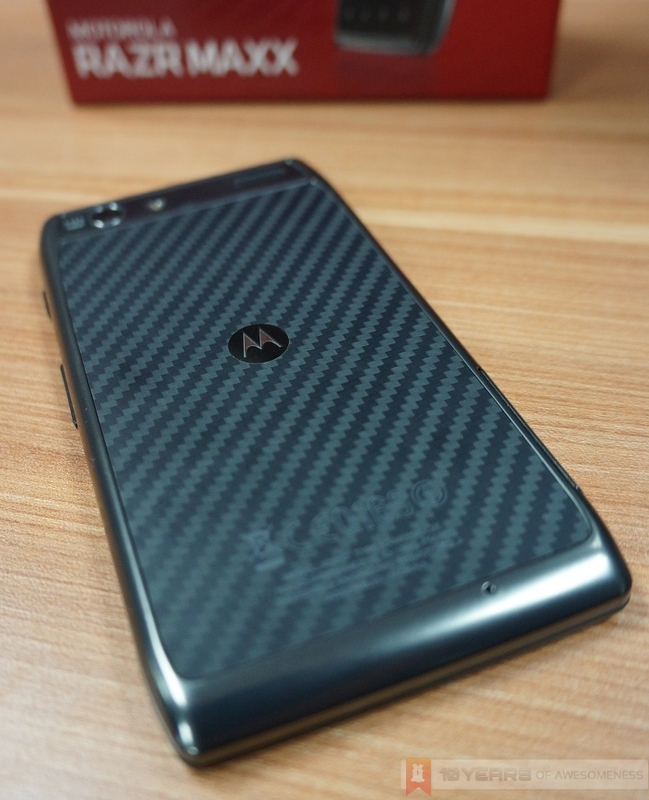 I think the Kevlar back cover is a gimmick, but a cool one. But the poor WiFi reception, a screen that is better on paper than it is on screen, and finally, a price that just isn’t competitive enough all mean that while Motorola had a brilliant concept for the RAZR Maxx, it just wasn’t executed well enough.